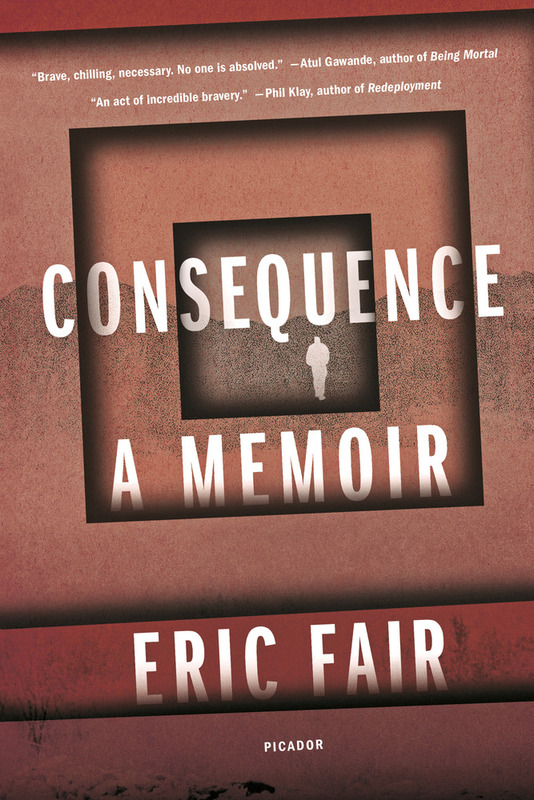 In 2004, after several months as an interrogator, Eric Fair’s call to serve his country has led him to a dark and frightening place. By the time he leaves Iraq after that first deployment, Fair will have participated in or witnessed a variety of aggressive interrogation techniques including sleep deprivation, stress positions, diet manipulation, exposure, and isolation. Years later, with his health and marriage crumbling, haunted by the role he played in what we now know as “enhanced interrogation,” it is Fair’s desire to speak out that becomes a key to his survival. Spare and haunting, Eric Fair’s memoir urgently questions the very depths of who he, and we as a country, have become. Eric Fair Interviewed on Democracy Now! "[Fair's] decision to assemble [his experiences] into a memoir isn’t necessarily heroic, but his self-lacerating moral clarity might be. Fair’s journey from Pennsylvania to the army, the police, government-contract work, a Christian seminary, and a heart transplant—all narrated in staccato present tense—fills out the picture of a good soldier doing bad work in a terrible war." —Vulture's "8 Books You Need to Read"
"Startling...Affecting...Candid and deeply unsettling...Eschewing abstract discussions of torture and the war, the author offers a beguiling personal narrative that forces readers to share his pain and uncertainty over his circumstances....Told against the background of his failing heart (he required a transplant), his failing hometown (Bethlehem Steel went bankrupt), and his war-strained marriage....[Fair's story] points up the larger failures of interrogators like himself to prevent abusive acts and of the country to end its endorsement of torture." ERIC FAIR is an Army veteran who worked in Iraq as a contract interrogator in 2004. He won a Pushcart prize for his 2012 essay "Consequences," which was published first in Ploughshares and then in Harper's Magazine. His op-eds on interrogation have also been published in The Washington Post and The New York Times. He lives in Bethlehem, Pennsylvania.